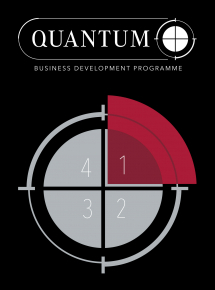 The Quantum Business Development Scheme from Carl Kammerling International which finished at the end of December, has reported a significant 33% increase over its ambitious £1m target and has marked a major improvement over its 2017 campaign, with more than 1000 customers participating in the 4 part programme which ran for six months. The scheme which featured new products, range deals, a price promotion and a sell-out package, was launched to great aplomb in June 2018 and featured a full trade sell in campaign with supporting infomercial, a direct marketing campaign and full social media activity. The quirky scheme titled “it’s time for Quantum” provided something for everyone and many customers who participated in the scheme have reported sales growth of over 20% in a period that saw many retailers in the industry go backwards.